Last Sunday, we looked at how to plan and execute a hydra­tion strategy. This Sunday, we will focus on race nutri­tion. The two are highly inter­linked. Get­ting your nutri­tion right dur­ing a multi-stage is prob­ably THE most import­ant thing to get right if you want to per­form well. The train­ing is done, the kit is packed and the start line awaits. It’s time to fuel right. 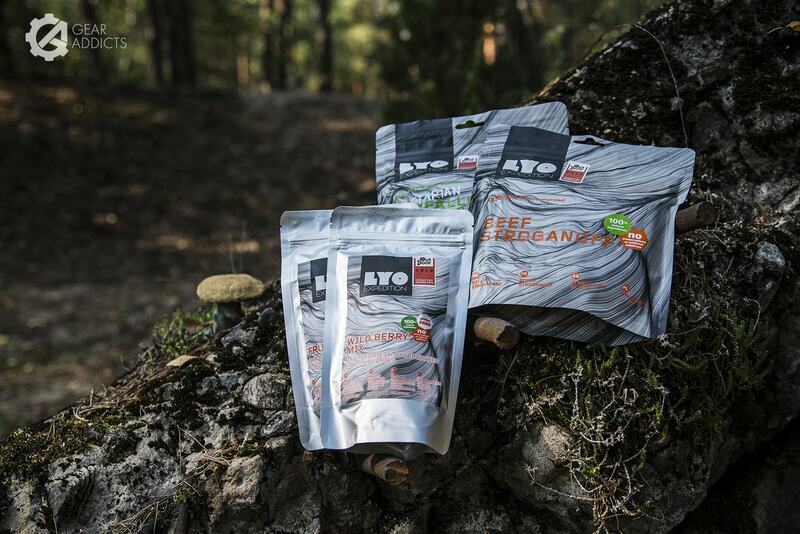 For the vast major­ity of multistage events dehyd­rated or freeze dried foods are the most suit­able for your main meals. Some of the most com­monly seen brands are Lyo foods, Exped­i­tion Foods, Moun­tain House, Tent Meals, Back Coun­try Cuisine but there are many more. We would recom­mend you to try a vari­ety and work out which one suits you. Out­side of main meals there are two key aspects of any nutri­tion plan- 1) Fuel­ling dur­ing the race and 2) Fuel­ling after the event, where the pri­or­ity is recov­ery. This art­icle focuses on 1, and next Sunday we will be offer­ing some advice on how to approach recov­ery dur­ing a multistage. Work­ing out a fuel­ling strategy that is right for you is vital but can get a bit com­plic­ated as the intens­ity of the event will impact on the fuel­ling strategy. If you are plan­ning on mov­ing more slowly (essen­tially hik­ing) you might want to think about con­sum­ing more fat as race fuel. This is because fat is the hard­est source of food to digest for your body but it provides the most energy per gram. Good sources come from foods such as nuts and pep­p­er­oni and these foods are much easi­er to eat when walk­ing. They also sat­is­fy salt crav­ings. Car­bo­hydrates are easi­er for your body to digest and con­vert into energy faster than fats. As such when work­ing at a high­er intens­ity, people verge towards carbs. This is why we rarely see people con­sum­ing any­thing but gels or sim­il­ar dur­ing mara­thons. How­ever, gels can dis­agree with run­ners’ stom­achs so be sure to test them out in a sim­u­lated envir­on­ment before you plan your nutri­tion strategy. 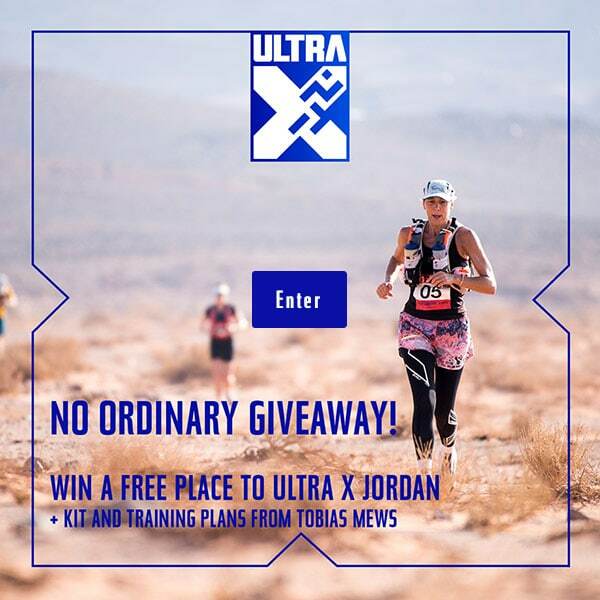 Unlike oth­er multi stage events, dur­ing an Ultra X you do not have to carry all of your food and equip­ment for the week. This means that you can you move faster as you don’t have to carry the extra weight on your back. Anoth­er bene­fit is you can eat as much as you like which will help reduce the inev­it­able cal­or­ie defi­cit. Race tip: Before the event, cal­cu­late what you will eat each day and then sep­ar­ate your food accord­ingly into sep­ar­ate sand­wich bags. Each day’s dis­tance is dif­fer­ent so your fuel con­sump­tion will vary so make sure to num­ber your food bags cor­res­pond­ing with that day. This is a short piece aimed at get­ting you think­ing about what sort of fuels you are con­sum­ing dur­ing the race. To read in great­er detail about race nutri­tion please check out this link from the very exper­i­enced Elisa­bet Barnes.